Just living is not enough... one must have sunshine, freedom, and a little flower – it has exactly been pointed out that nature has an important part to play in our life. And what could be a better idea than taking a break in this spring to go nearer to nature? If you have time and are eager to adventure into a flower garden, then ‘Shimul Bagan’ located in Tahirpur area of Sunamganj is the ideal choice. 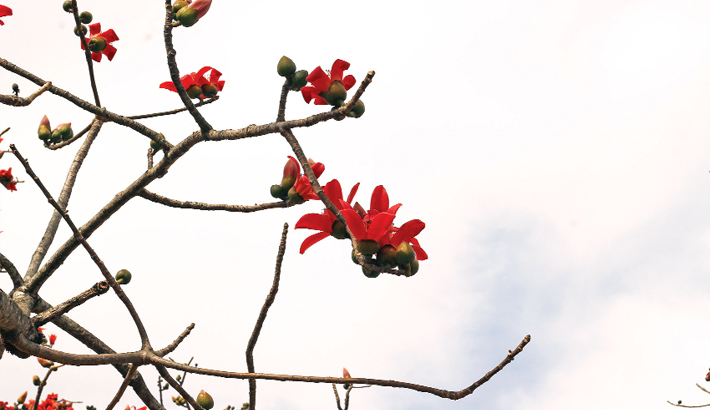 The red flowers of the Shimul trees will not only feast your eyes but also transcend you into a different world.